Exciting news! 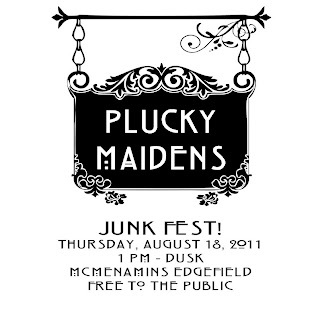 I've been selected to be a vendor at the Plucky Maidens Junk Fest at Mc Mennamin's Edgefield in August! 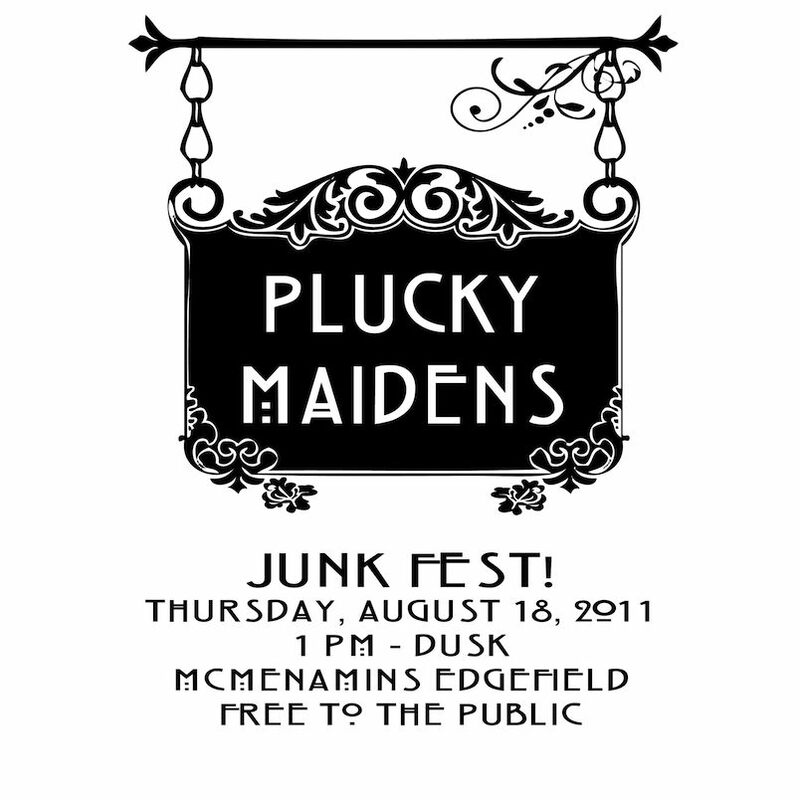 Be sure to stop by my booth and say hello! I've started going through what I can sell, and I got so many great items, it's hard to envision what exactly I have: antique trunks, paintings, framed chalk boards, dressers, chairs, small breakables, clothing... and more.